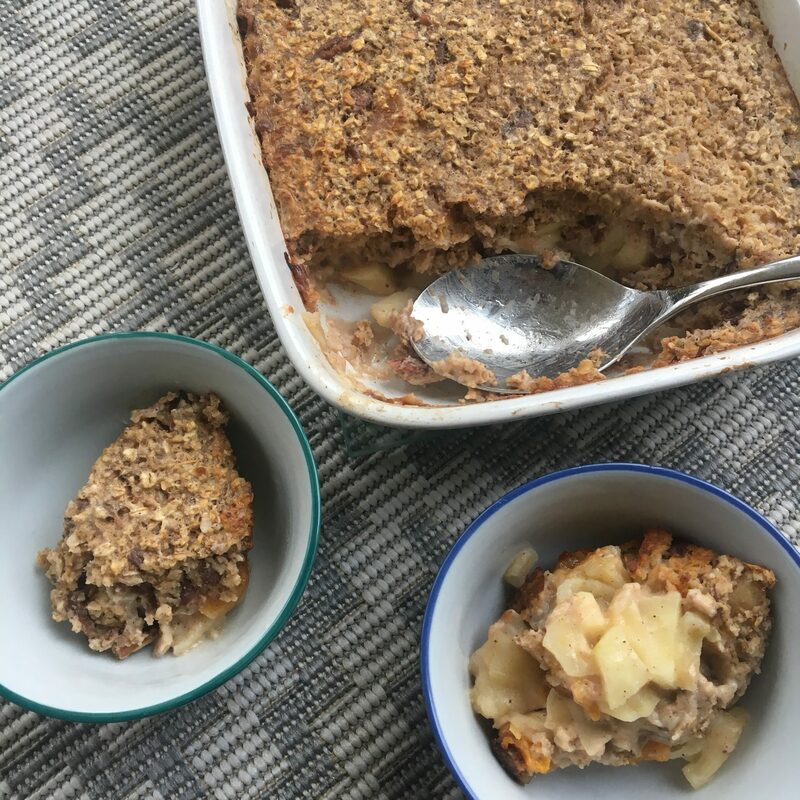 Baked oatmeal is a new thing for many Brits but it is the perfect meal prep for the week ahead – or even longer if you freeze in portions. 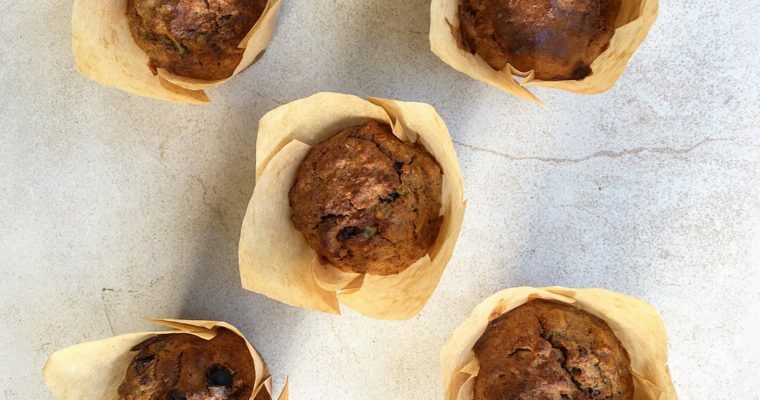 And unlike most grab-and-go breakfasts this one has zero sugar. When I was tucking into some for breakfast at work this week my colleague actually asked why I was eating pudding for breakfast! An easy mistake to make as this Apple, Apricot and Pecan Baked Oat Porridge Oats is almost like having dessert – and who doesn’t want pudding for breakfast right? With the slow energy release oats and the protein addition of the nuts, eggs and milk, a portion will fill you up till lunchtime. So it’s also a great evening snack if you have skipped dinner or eaten early and need something else. Step 1 Preheat the oven to 180°C Fan / 200°C / 425°F / Gas 7. Step 2 Thickly grease a glass or ceramic baking dish 28cm x 20cm, with butter. Step 3 Scatter the apples evenly on the bottom of the dish. Step 4 In a separate bowl mash the banana then add in all the dry ingredients before mixing well and pouring in the wet ingredients. Combine thoroughly and pour over the apples. Step 5 Bake for 30mins, the top should be golden and the oats set. Serve warm with a dollop of yoghurt. This is a nice amd loveky recipe ! I will love to ter this soon and enjoy . OMGosh this looks so good! Anything with pecans and apples is delicious. Thanks for sharing I cant wait to try! Always love finding new little dishes that I can serve for breakfast, thanks! This is right up my ally. Seems similar to an apple crisp. I would love to try baked oatmeal. It’d definitely save time in the morning, and with all of the fiber, it seems like it’d be pretty filling. Looks great. just seeing the photos got me craving! but what caught my attention is the pecan! i love anything with it! I love the fact that this recipe calls for no sugar. We are watching every portion we use in our foods, so this is right up my alley. I have never baked porridge before and I would love to try this recipe. 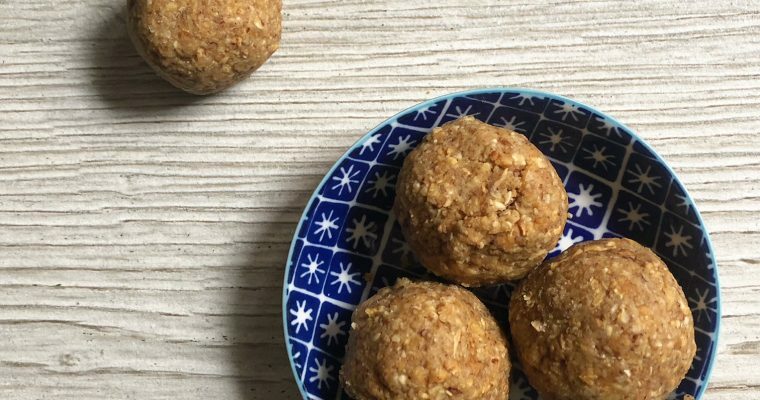 would this recipe work with Almond Milk? Absolutely! Works with all milks. I also like to keep sugar as low as possible and there’s just no need for any with all this natural sweetness. I’m definitely going to try this! It looks so delicious and healthy! Great post/recipe! Baked oats what an interesting way to serve oats This looks absolutely divine . I love the incorporation of the various fruits as well. I think my daughter would love this . Pinning for later .